All children have a longing to be loved and accepted by someone. But what happens to the orphaned or forgotten child? Where will they find sweetness? 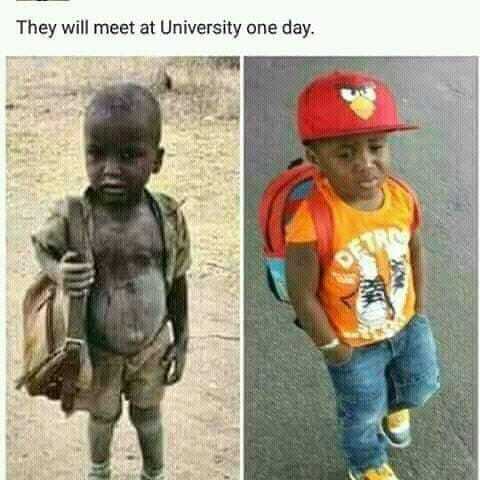 Who will help them build a bridge to their future? Millions of children are forced to live on the streets. But, ONE BY ONE, we can reach these children with a gift of hope – together. 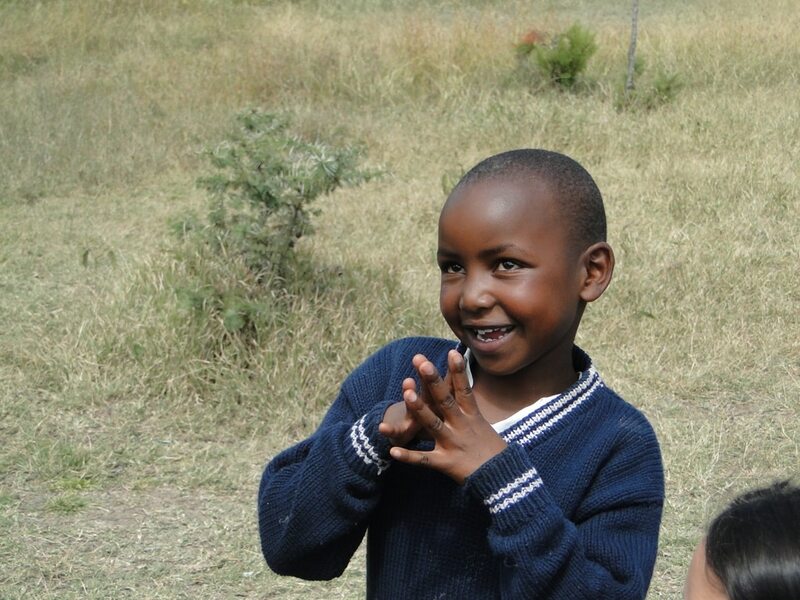 Wangechi can now attend school thanks to her sponsor, Barbara. Living on the streets is rough. The younger children get beaten by the older ones. Hunger plagues them every day and often they will do anything for a morsel of food. Like our need for food, love also nourishes the human spirit. A lack of love is like starving the soul physically, emotionally and developmentally. On behalf of these children, we come to you for hope. 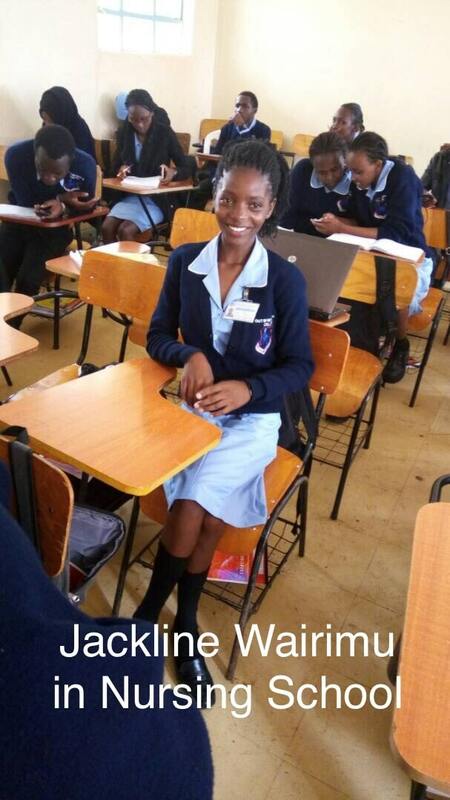 Jackline Wairimu in class at one of Kenya’s Medical Training Colleges. Thanks to the gift of hope through sponsorship, Jackline is studying to become a nurse. 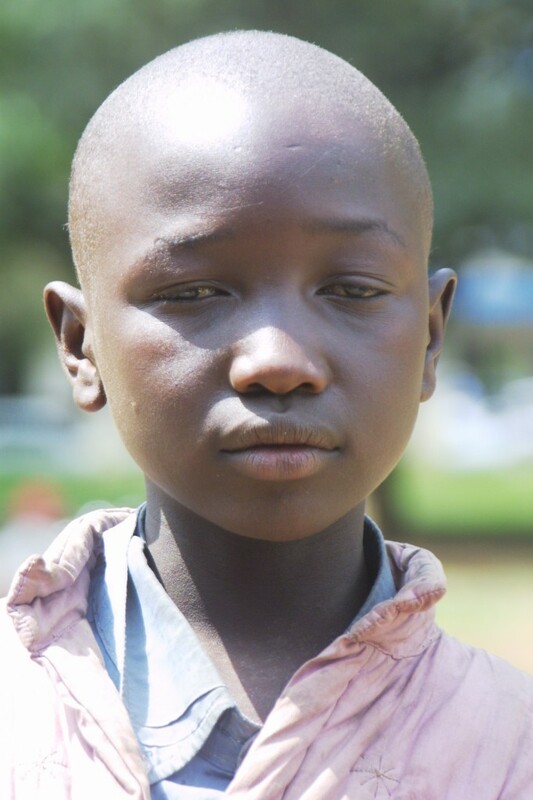 Matanya’s Hope’s Jackline Wairimu writes: “Your gift changed everything for me. I thank God for bringing you into my life. I don’t know how life could have been if it were not for Matanya’s Hope. At one point, I almost dropped out of school but, at that moment, Matanya’s Hope rescued me. I have been through my primary and secondary education and now I am in College studying to become a nurse! I really thank God and my sponsors for the blessing. Together, you brought my smile back. Every child needs to feel as if they belong to someone. Will you hear their cry? Will you listen for their heartbeat? Will you help just one of these children re-write their story to a story of hope? 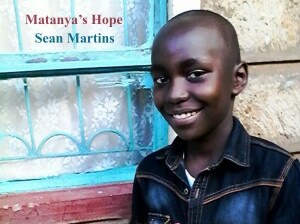 Help Matanya’s Hope reach children in need. 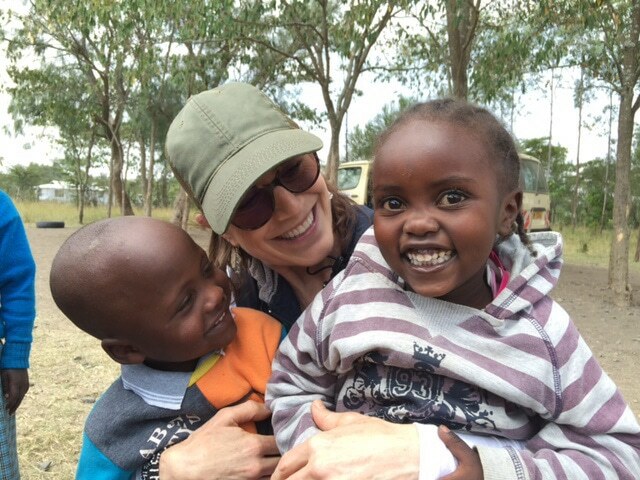 This entry was posted in MISSION 2017, The Children, To Our Sponsors, Uncategorized and tagged Africa, Donate, Educate, Education, feed a child, future, Help, helpless, Hope, Matanya's Hope, mission, Non Profit, orphaned child, orphans, sponsor, Sponsorship, Support on May 18, 2017 by Michelle Stark. Look Who Just Got Sponsored! You may already be a part of miraculous stories in your life, or maybe you are eager to be a part of the miracles unfolding right here at Matanya’s Hope. To every sponsor, prayer warrior and donor, thank you for helping us give love and hope to thousands of children in need. This story is about Sean Martin, a boy who touched founder Michelle Stark’s heart the moment she met him. 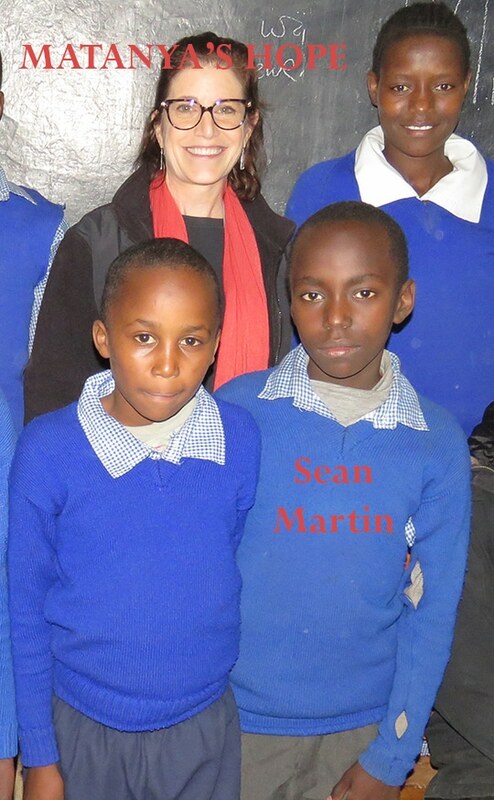 Stark tells us, “My entire being ached when I heard Sean’s story from the Director of his school.” Desperate to get her grandchildren educated, Sean’s jobless grandmother walked barefooted and hungry to a “local” primary school. The trek was monumental, demanding this elderly woman to sustain a long climb up the steep, rocky mountain roads until she reached the school gates. There, she told the director that she had no money but would bring some soon. She explained, “Sean has just been orphaned and his cousin Valerie is orphaned as well”. The director took the two children in, but months passed and the promissory fees were not paid. The children’s grandmother was unable to manage the bill. Sean and Valerie were to be sent home… Their hope for education faded. That is when I met them. Sean smiled but I could see the pain beneath his sweet face. He needed the absolute basic necessities in life: food,shelter and love. When his mother never returned from a recent outing, Sean’s only hope was his jobless grandmother who took him into her 11 X 11 rented room. She did all she could already to support 7 orphaned grandchildren. Sean Martin now made 8. Stark recalls, “When I was a child, I rode my bicycle all day and played with my friends.” Sean Martin prays for a meal to eat and an education to carry him throughout his lifetime. He promised his grandmother, “One day, Grandmother, I will be educated and I will get a good job and build you a house.” He held the crayons we gave him and drew a picture of this house of his dreams. 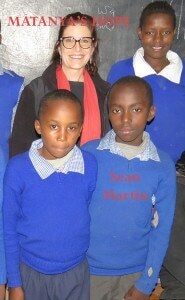 This is Sean with other Matanya’s Hope students at school. Founder, Michelle Stark is pictured in the back row. To Sean’s sponsor. Thank you! You have changed the world for this beautiful boy! 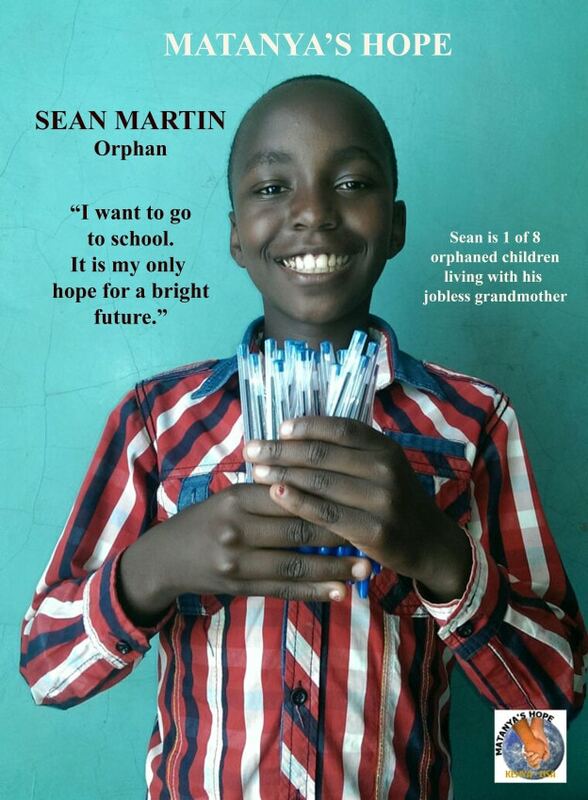 Donations are needed to help us continue the programs which reach children like Sean. This entry was posted in Matanya's Hope, Partners with Matanya's Hope, Success Stories, The Children, To Our Sponsors and tagged Africa, child, Donate, East Africa, Educate, Education, Help, Hope, hopeless, hunger, Hungry, Kenya, Matanya's Hope, mission, NGO, Non Profit, Not for Profit, orphan, orphans, school, Sean Martin, sponsor, Sponsor a child, Sponsorship on May 16, 2017 by Michelle Stark. I vividly remember the 2007 July day – hot and dry, without much breeze, but with a communal buzz of passersby and a heavy scent of lingering exhaust fumes. The people of this small Kenyan town did not have much access to modern transportation – especially that with clean emissions. Most of them were farmers and either walked or paid public vehicles to carry them. Anything motorized usually sputtered smoke and tossed fumes as an unavoidable torture to the human senses. During this time of year, the people of Sub-Saharan Africa were experiencing drought. Community members were gathered in town for small business, waiting for the rains to come and the time to re-launch their new farming season. I waited outside of the market. I don’t know why, but on this day, I did not want to go in. I stood on the makeshift sidewalk, observing… waiting… lost in my own world. A young boy of approximately 9 years old approached me. Though he stood on the opposite edge of the street, his eyes gently locked with mine and his unspoken story whispered straight to my heart. Ambrose was steadfast. 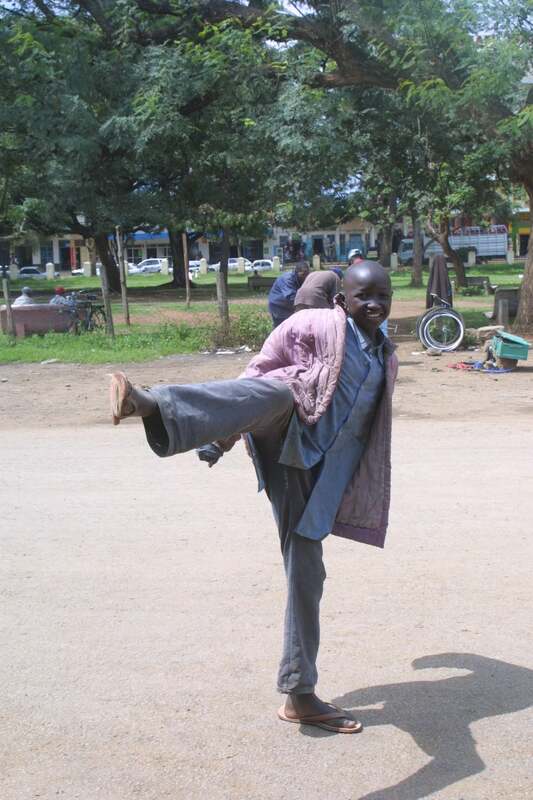 He engaged with my camera lens, in a friendly showcase of playful martial arts moves. His attention shifted from the lens to my eyes and back to the lens again. Dialect was not needed to speak the language between us. Ambrose on the streets of Nanyuki during our first meeting. When my Kenyan partner came out of the store, I was eager to tell him about my new friend. 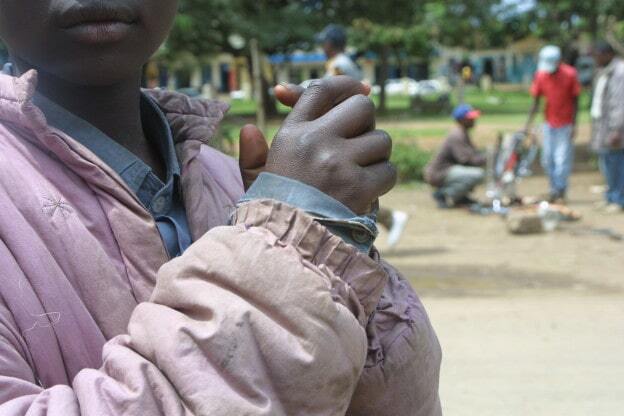 He urged me rather boldly to “let this go”…”Kenyan street children are liars”, he said with such an absolute unshakable conviction that it felt cold and shook me. “He will deceive you.” With that, his intentions were clearly laid out: I was expected to follow him to the vehicle and go home. But I couldn’t. I could not get this sweet, little boy adorned in a torn and faded pink jacket out of my mind. I couldn’t let go of the innocent play we shared – and of the overwhelming love I felt filling my heart – I felt as if an angel stood there with me and brought this boy and I together. “I can’t leave him”, I said. I could see the irritation in my partner’s eyes. “I have to learn more.”, I persisted. We were soon in the car, myself, my partner AND AMBROSE – traveling into rough territory where we would check out if “this street boy” was telling the truth. (I had no reason to doubt him). Our vehicle bumped through the town’s rocky terrain and splashed through whatever stagnant puddles remained along the way. The path was so narrow that at many turns, we brushed up against tall, twig like cacti. They scraped the sides of our car featuring unmistakable screeching as the auto paint was unapologetically scratched from the car. As we rocked down the last leg of the pitted earth road, a cluster of dirt floored shanties revealed themselves. Several people stood outside watching the unusual sight of a car rolling through their alley ways. I was told to be guarded as I exited the car. Women and children stood still, captivated by our appearance. I looked into each person’s empty eyes and a sense of their desperation became mine. My heart broke for these people – even more so, it broke for my new friend. “What do you want Ambrose? Do you have a dream for yourself?” I asked. He leaned against the wooden planks and looked up into my eyes. “I want to become a doctor” he answered. I could hardly see. Tears were at their capacity; any more and they would spill down my cheeks! We returned to town with Ambrose and took him to the store to purchase much needed food. I visited with him daily (for the time that I was in the area). We purchased a bed for himself and his grandfather and soon, we had a sponsor! Ambrose got his wish; he went to school. Ambrose during his internship – student teaching. Ambrose’s story beautifully captures the essence of how gaining access to love and education can change a life and a community. The act of love, of listening and caring – and the gift of education empowered him to unlock the treasure trove of hope. Literacy is more to our children than simply teaching them how to read; it opens up a new way of living. It provides a path to hope and dreams – to God’s plan for them – that otherwise may not ever be realized. 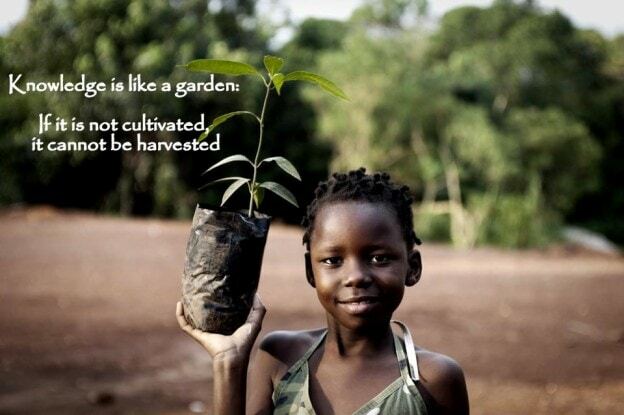 The seeds of HOPE are planted in the fertile soil of education and a loving support system. We use simple, personal ways, like playing with the children, feeding the hungry, putting shoes on the barefooted and clothing those who are dressed in threadbare material to demonstrate love for soul, here and now. Our prayer is that no child shall ever be forgotten. Healing IS possible. It starts with a vision. It is followed by prayer and action. And… it culminates with renewed life … more than we could ever have imagined. “I know that I am the way I am because of God Matanya’s Hope and my sponsor, Isabel. This entry was posted in Success Stories, The Children, To Our Sponsors and tagged Africa, Charity, Donate, Donation, East Africa, Education, feed a child, Help, Hope, hopeless, hunger, Kenya, Matanya's Hope, mission, NGO, Non Profit, Not for Profit, Orphan. Help, orphans, Poverty, school, sponsor, Sponsor a child, Sponsorship on March 6, 2017 by Michelle Stark. Matanya’s Hope: WHAT IS THE DIFFERENCE? Children become ill after drinking from stagnant pools when that is all the water available. 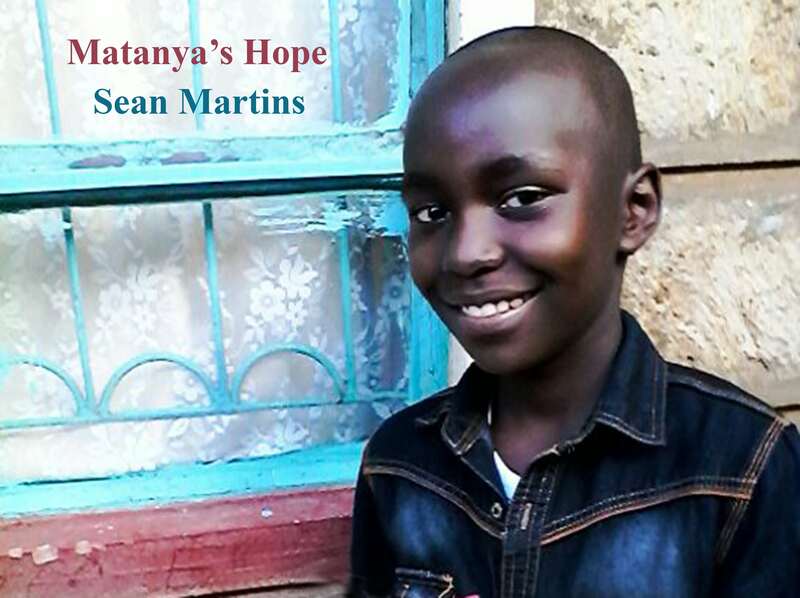 Your gifts and donations to Matanya’s Hope make a huge difference in a child’s life. Here, in the western world, our youth have access to free education K – 12. Most are fed at least twice a day and worry more about the BRAND of shoes they have or about acquiring the latest electronic devise. 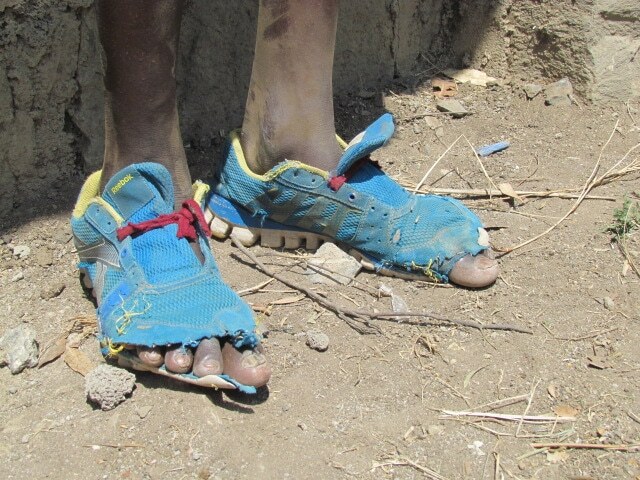 But, in impoverished areas of Kenya, students walk miles to school and they long for any pair of shoes. An electronic devise is a novelty that few of these children have seen or even heard of. Here, students know they must attend High School. Most do their homework and await the arrival of their coveted weekends. 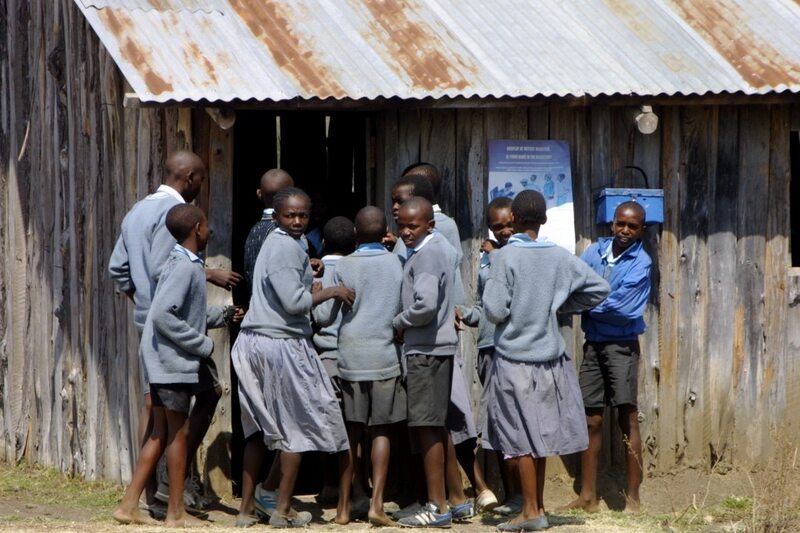 Many orphaned and impoverished students in Kenya will be unable to pay the fees for high school; for some of these most brilliant minds, schooling stops as early as 9 years old. Weekends are almost ALWAYS reserved for hard labor, with or without food. In 2005, as I traveled and met the children of rural Kenya, my perception of “the rights of a child” was overwhelmingly challenged. I met 4 students in a dilapidated classroom. Dirt floors… no electricity… no running water… and bare feet surrounded me. These children were orphaned, malnourished and each one believed they would never walk through the doors to study at any high school. 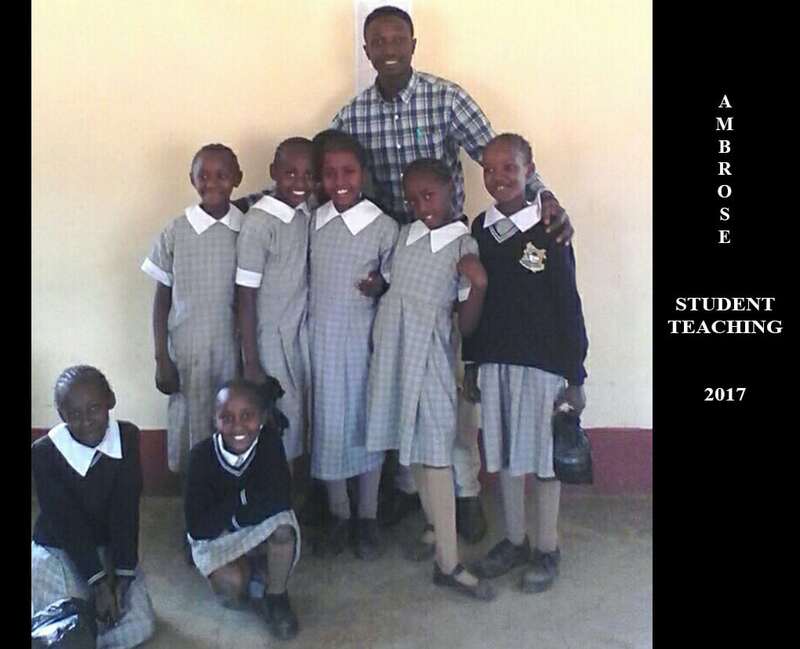 Before I left Kenya, each one of these 4 students were sponsored by 4 of the families on tour with us. They became the first four Matanya’s Hope students (before we ever even had a name). Matanya’s Hope grew from this first act of love through the ongoing gift of Hope being planted in each of these four lives. And though I celebrated these students, I could not erase the faces of the 250+ barefooted children I saw who also deserved the same chance. The four original students who once had no hope for furthering their academic minds, have now grown. Two are working adults and two are finishing degrees; one in education and the other in food science. Imagine the joy in having a teacher who understands the plight of hunger and abject poverty; what an encouragement she will be! From a start of 4, Matanya’s Hope now sponsors 250 +- students ranging from nursery to university. We have students studying pharmacology, nursing, education, engineering, accounting, law and more……..We have a plethora of graduates who work in the following areas: teaching, tourism, procurement, chefs, banks, aeronautical engineering, accounting and so much more. Together we are making a difference. IF EVER YOU FELT COMPELLED TO GIVE, NOW IS THE TIME. CHILDREN ARE IN NEED OF YOUR HELP. Soon we will travel back to Kenya for Mission 2017 and again we are going to meet the faces of starvation, malnourishment and hopelessness. 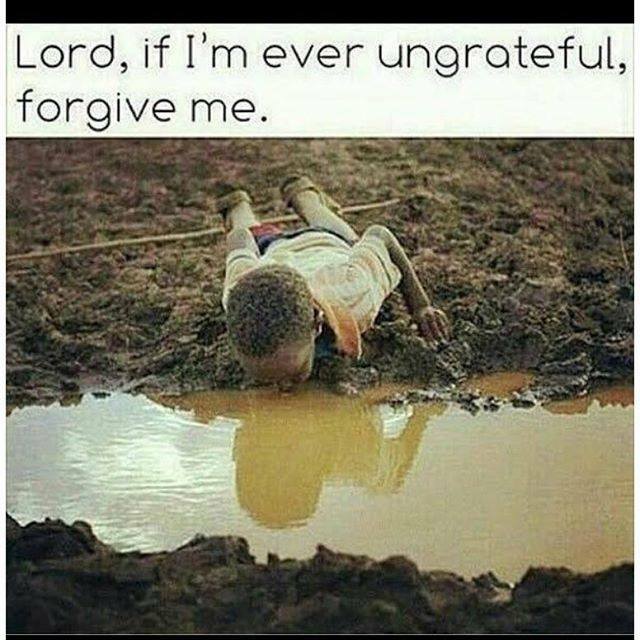 Funds are needed to place water tanks in drought stricken villages, schools, homes, medical clinics and orphanages. Medical supplies are needed in the remote clinics (where even an aspirin is often hard to come by). We are going to see heartbreaking hunger and torn and ragged clothing. We are going to see feet without shoes and students without pencils. We are going to find children who sleep on dirt floors without a single blanket. Funds are needed now for shipping of over 4000 pounds of donations and supplies so generously provided by you, our donors. Thank you! We need funds to continue our porridge program that feeds over 1000 students (in three different schools) a daily cup of freshly prepared hot, nutritious porridge. For many this cup of porridge is all these hungry children receive daily. HOPE is YOU. It is in all of you and I thank you from the bottom of my heart. Please listen to the song ‘Do Something’ by Mathew West and be the Hope these students and families need. …. HOPE HAS A NAME. It’s YOU! Life is better for so many children and families, because you care! Please help us continue this noble work. This entry was posted in Matanya's Hope, MISSION 2017, Programs to Help, The Children, To Our Sponsors and tagged Donate, Education, Help, Hope, hopeless, Kenya, Matanya's Hope, orphan, orphans, Poverty, school, sponsor, Sponsor a child on February 21, 2017 by Michelle Stark.